We bound just 12 copies of this remarkable title. 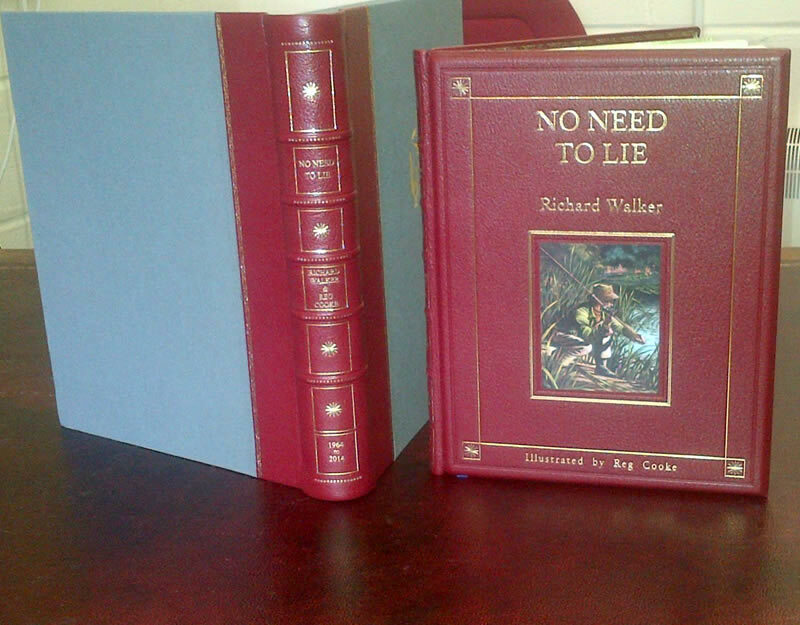 The first of the great modern fishing classics, the customer wanted to commemorate this by producing a super-deluxe edition. He bought over 20 First Editions, to find 12 that he was happy with; Phil removed them from the cases, (preserving the self ends) and Jemma Lewis designed special marbled ends. Emma recreated the artwork for the blocking the dies and Phil bound the book completely. This title incorporated a rounded spine Solander box, which is 1/4 bound in leather. The book has a printed image inlaid on the front cover.